The Baker family has seven generations in custom stained glass/art glass windows. It all began in 1855 with James Baker, a trained glass painter, who started his own stained glass firm in London, England. After many challenging years, James relocated his family to America. In 1863, James' son, James Wedlake Baker, joined the stained glass profession and worked for several firms building stained glass windows for churches, schools, and buildings in New England, New York, and New Jersey. Eventually, father and son opened a stained glass business in New York City called James Baker & Sons. In 1897 James Wedlake Baker moved his family to Denver, Colorado and opened his own stained glass business. In 1907 James Wedlake's son, Ralph, decided to join the family profession and trained for a year with Louis Tiffany in New York. In 1908 Ralph moved to El Paso and worked for L.W. Hoffecker's Stained Glass Studios and El Paso Sash & Door Company. In 1911 James Wedlake lost his glass business in Denver in a fire. He was given the opportunity to start again in 1917, when Ralph enlisted in the Army and asked his father to move to El Paso to take his place at the El Paso Sash & Door Company. Upon Ralph's return, father and son formed a new company called Baker & Baker which produced stained glass windows for many churches, hotels, and other buildings throughout the southwestern U.S. and Mexico. 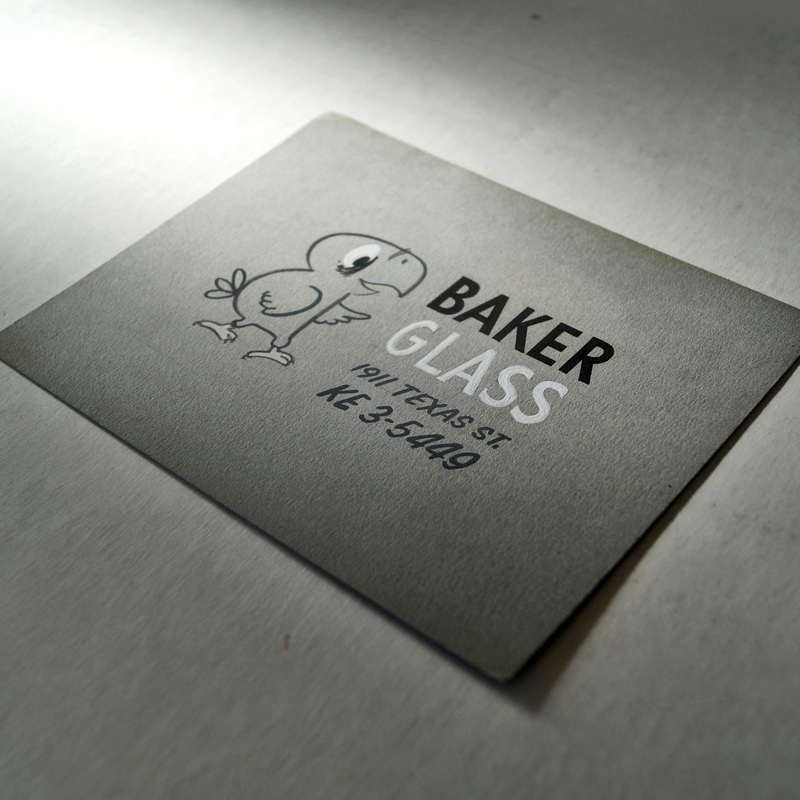 In 1936 Ralph renamed the company Baker Glass and branched out into the general glass business which included auto glass. Ralph's sons, Jimmy and Gene, joined the family business in the 1940s and in 1954 Baker Glass was incorporated. The family continued to build and install stained glass windows until Ralph's death in 1960. In 1962, Jimmy and Gene set up shop for Baker Glass at 4015 Montana in El Paso which remains Baker Glass headquarters to this day. 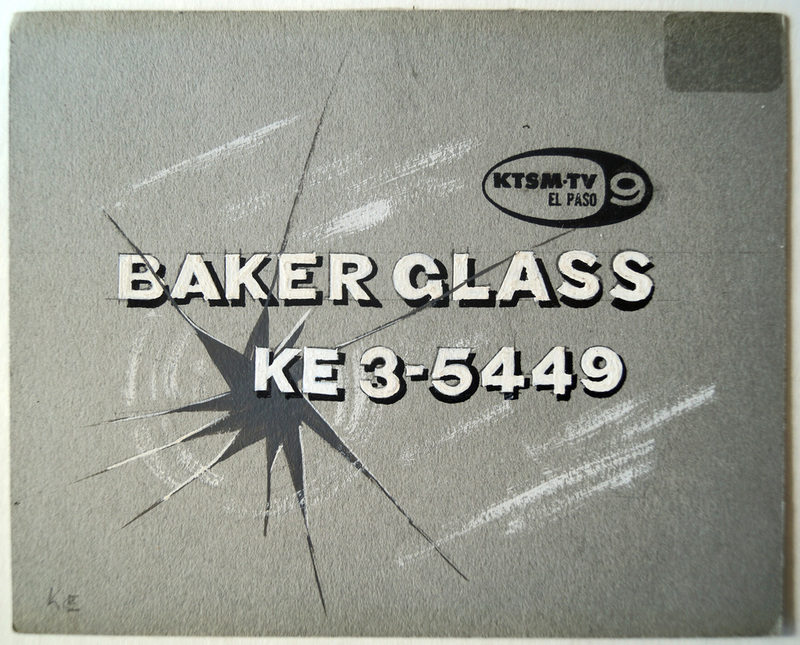 In the 1970s Jimmy's sons, Dave and Tom, began working at Baker Glass. Over four decades the family opened three additional locations in El Paso as well as expanded the company's offering of products and services. Today, Tom Baker is the owner and operator of Baker Glass, while the tradition of art glass continues through the generations.